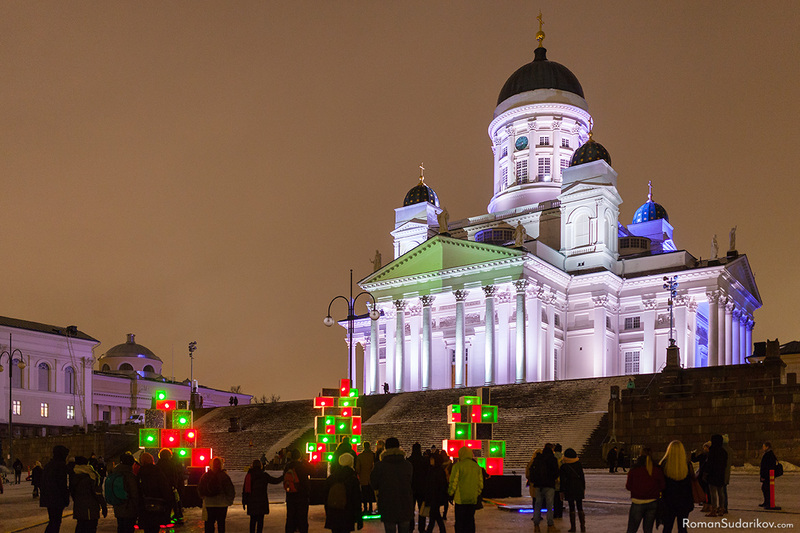 In the beginning of this year in Helsinki, as it could be said to have formed a tradition already, was held the annual Lux Helsinki 2017 light festival, which during the darkest time of the year illuminated Helsinki Cathedral and the historical buildings around it with the aid of light art installations. The popularity of the event, and consequently its size, has been growing year after year, hence to explore and photograph this year’s artworks I devoted two evenings. 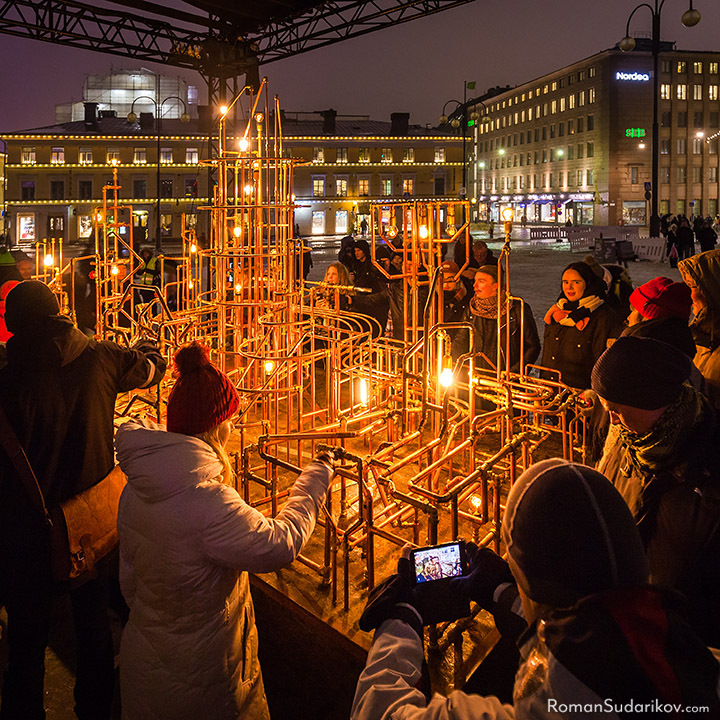 Lux Helsinki has been organized nine times already and this year it was a part of the official Suomi Finland 100 programme celebrating Finland’s independence jubilee. According to the organizer, the festival attracted over half a million visits. The event draws an audience of all ages from small children to great grandparents owing to being well suited for spending time together and in many occasions the visitors come as whole families to enjoy the light art. This year, the festival lasted five days, starting on Thursday 5th of January and ending on Monday 9th. There was in total 15 light art installations on display. The route set out from the Market Square and went around Helsinki Cathedral stopping among other places at the House of Nobility Green, in the inner courtyards of the University of Helsinki’s Topelia building and the National Library of Finland, as well at the Senate Square, before returning to its start at the Market Square. I would like to say right away that in my opinion the level of works has risen. Especially I liked that some of them have been interactive, meaning that the viewers could affect the exhibits, which in some cases also required a cooperation among public to accomplish that. For example, in Light Pipes by Rölli Ridanpää and Tero Laine, seen in the picture above, it was possible to adjust the brightness of the light bulbs by closing and opening water valves. Each valve was tied to its own light bulb, but it seems that it wasn’t so straight forward as they also affected each other in some way. It is either all or just nearby lamps that shared the same resources. By turning off all the valves at the same time, which required the cooperation of everyone, the lamps began to blink. I think that Light Pipes was very successful in visualizing its theme, which is possibilities of individuals and groups of people living in cities to affect the larger entities of their living environment. 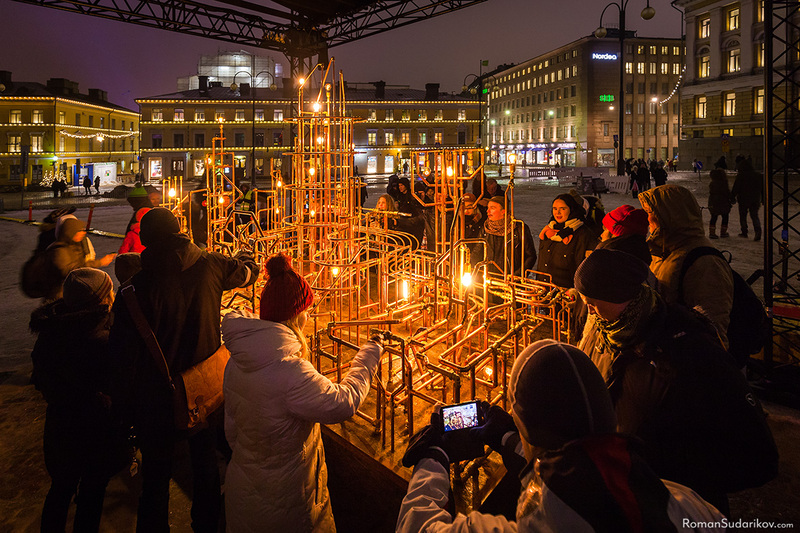 In the installation Joukkovoima, People Power, by Petri Tuhkanen, shown in the picture above, people had to jump at the same pace, or probably just stand together as it was originally intended by the artist, to focus as much force as possible on the industrial scales set on the ground, so that the box-shaped lights would get brighter. Each of the three scales affected only the lights of its own color, which were red, green and blue. 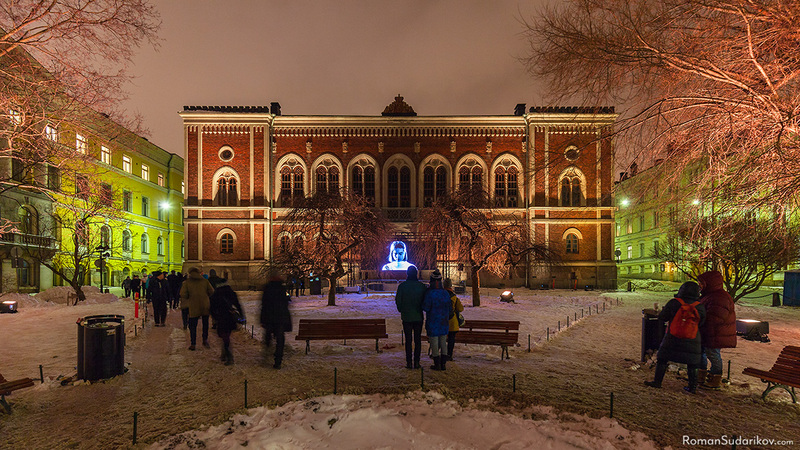 Also, the Helsinki Cathedral visible behind was used as a screen for an installation Domus 360° – Four Homes by Tarja Ervasti, the topic of which was on what structures people base their existence, their spiritual home. The colors of the Cathedral were constantly changing from all four its sides which surely should had been visible from afar. In addition to interactive installations, there have been many works that were strongly built around storytelling. Some of them were dealing with very serious topics, such as Absence by Mexican artist Mónica Ruiz Loyola, which describes the exploitation and systematic violence inflicted on women in Ciudad Juárez in Mexico. It is very difficult to convey emotions brought by this type of works with just a single image, instead you must be there on your own to experience them. The both times when I went to see the event I was alone, or actually with my camera, because my primary intention was to focus on taking pictures. I proceeded very slowly, closely observing what was happening and looking for details, in order to not to miss anything interesting and capture it at the right moment. Some of the installations I explored so carefully that on the both days I ran out of time. Personally, I especially liked two works, although for completely different reasons. As a work of art, I think that the most interesting was the previously mentioned Light Pipes for its interactivity and simple, yet creative and very accurate representation of people’s possibilities at least in its ideal form. Also, the idea that electricity could run in pipes as water seemed very amusing to me. Another installation, which I especially liked, was the Flowers of Life by Veikko Lappalainen, to which the next four pictures are dedicated. 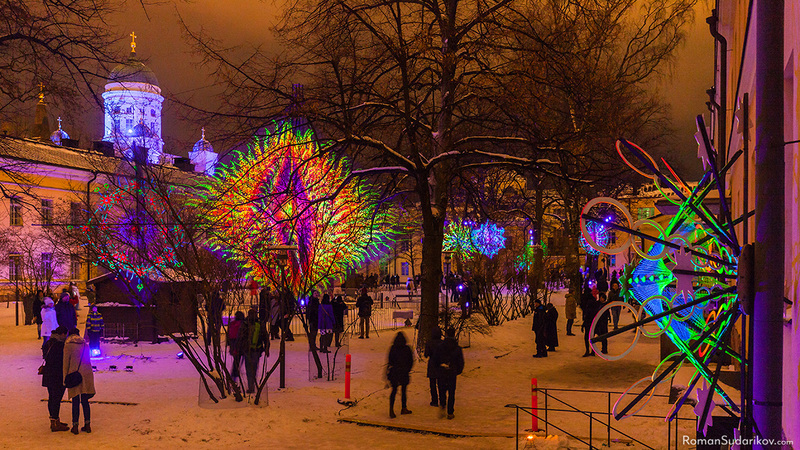 Located in the courtyard of the University of Helsinki’s Topelia building, the Flowers of Life installation, which was using UV light as its medium, consisted of different very colorful geometrical patterns floating in the air, among which spectators could walk freely. Based on my observations, I think that it was probably the most photographed work of the event because of its strong visuality, diversity of shapes and the creative freedom it provided to its visitors. Although the technical implementation was basically the same for all decorative objects, which made their visual style uniform, each separate piece was very different in its details. This diversity in combination with the freedom of movement partially had the same function as interactivity of the other installations. Even though people couldn’t affect the patterns floating in the air, they were almost completely free to approach and explore them from any direction and distance. Thus, if only the spectators themselves have chosen to take the initiative in their hand the presentation immediately became quite different for each of them. This made it very fun to photograph, which is precisely why I liked it so much. On one hand photographing Flowers of Life was easy, but at the same time it was also quite challenging, which made its process very interesting. It was easy because the installation itself was very photogenetic, that is to say everyone could have gotten easily attractive pictures of it leading to that it was possible for everyone to enjoy the process and its results. On the other hand, finding unique angles, in addition to the obvious ones, at least for me was a lot of struggle. For those who like challenges, among whom I classify myself too, it is of course just a plus. I will not introduce all the works of the event in this article, but only those that I became the most acquainted with during my visit. In the picture above, which was taken at the House of Nobility Green, is an installation The Land Beneath Our Feet by Teemu Lehmusruusu, in which he explores man’s relationship to the earth. There were a lot of spectators watching the video presentation. The small number of people in the picture is just because of my persistence to wait for better timing before pressing the shutter. 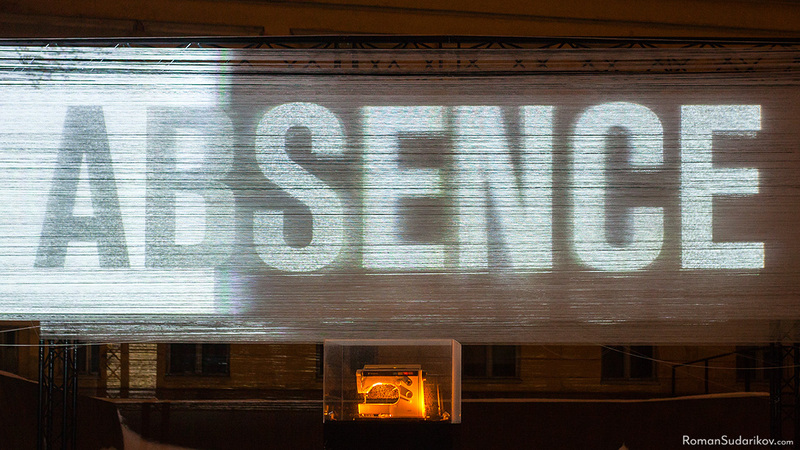 Next, in the picture below, is a light art installation Ronda by Kaisa Salmi. 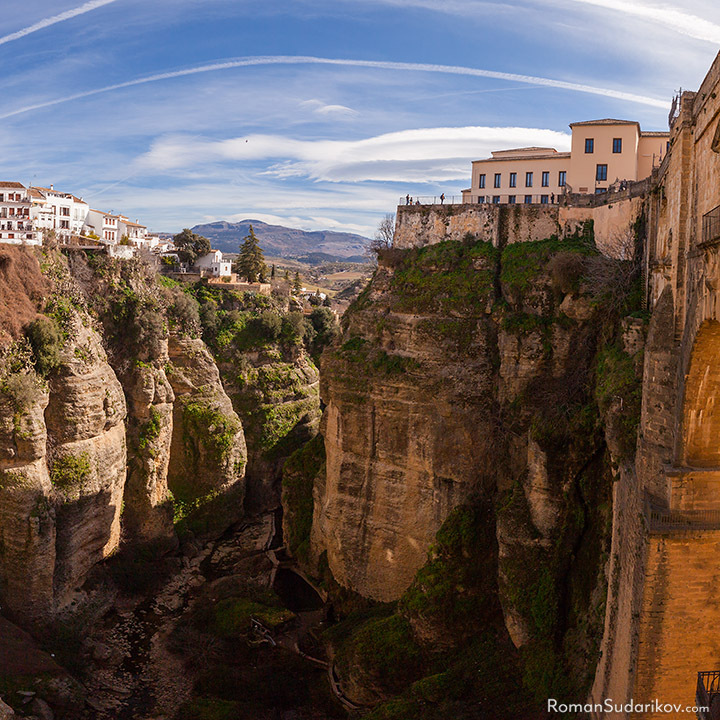 The artist has clearly fallen in love with the mountain town of the same name, Ronda, located in the south of Spain, Andalusia. I have also visited it a couple of times and could completely identify myself with her in this regard. The town is built in a very exotic place on the edge of a rocky cliff and it is extremely beautiful and photogenetic. You can read about the daytrip I did there this year in the article Ronda – a City Hidden by Mountains. Next year Lux Helsinki will celebrate its 10-year anniversary, so there is a good chance that the City of Helsinki will put even more effort into it. 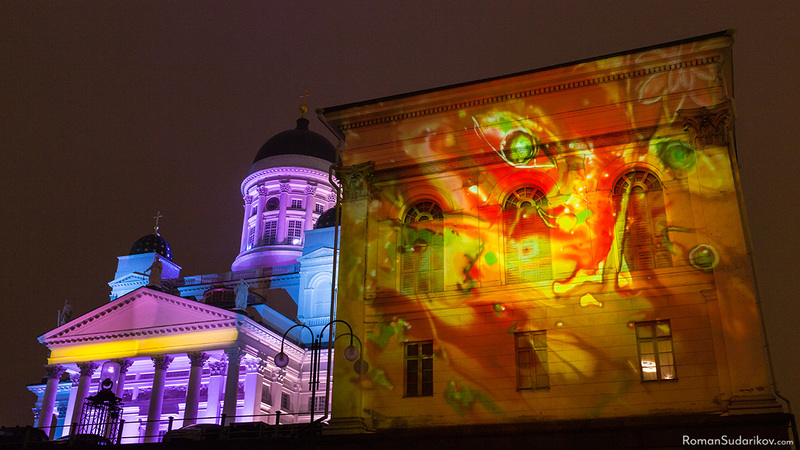 The schedule of Lux Helsinki 2018 is already published. The next light festival will start at Saturday 6th and end at Wednesday 10th of January 2018. At the time of writing this article, the official website still has the Lux Helsinki 2017 information, but closer to the actual date it will be updated with the information of upcoming event. My best photos of this year’s event you can see in the album Lux Helsinki 2017. This article is also available in Russian Фестиваль света Lux Helsinki 2017 and Finnish Lux Helsinki 2017 -valofestivaali. Hello! Welcome to my photography and travel website! My name is Roman Sudarikov and I am a linguist, photographer and travel guide. I was born in Kohtla-Järve, Estonia. Since 1994 I have been living in Helsinki, Finland, except exchange year at university in Japan and some travel. 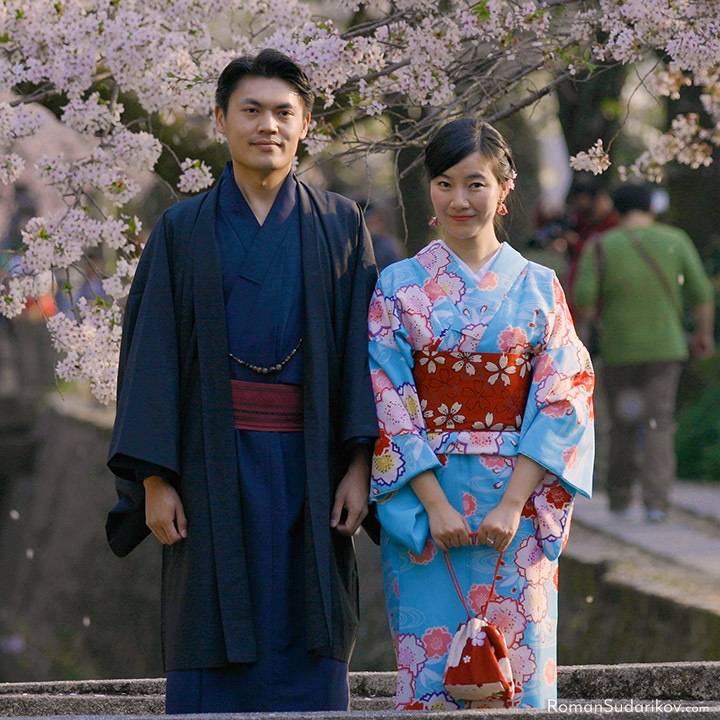 In March 2018 I moved again to Kyoto. I have a lot of passion for Asian culture and martial arts. More information about me You can find in the About section. This blog is dedicated to my travels with the emphasis on photography.